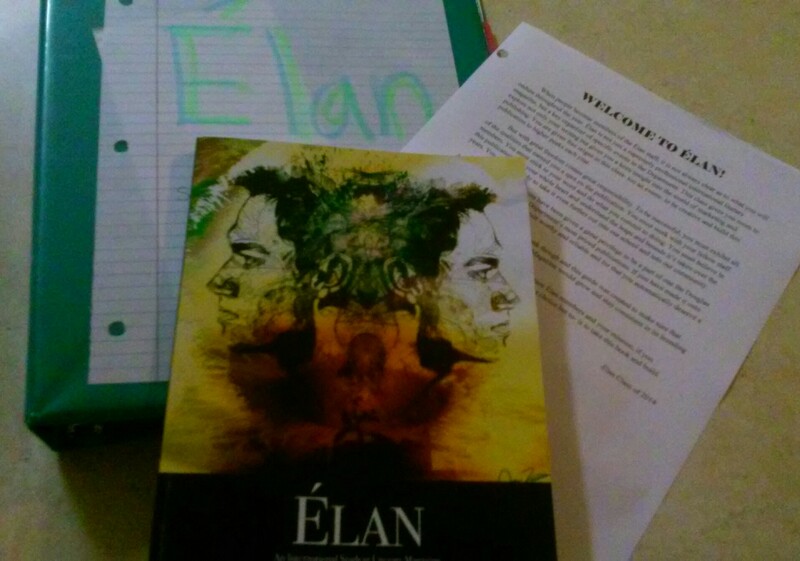 I –like so many others on this staff- am new to Élan this year. What sets my experience apart from others, however, is that my role, my small piece of this literary magazine puzzle, is as new as I am. After the first few days of class once meetings were held and staff positions decided on, we each were given a letter, a sort of welcome to your job/ this is how you do it kind of packet written by the amazing group of students who came before us. I was handed a packet not for my position as Web Editor, but one that was deemed “close.” I had mixed emotions about it. On one hand, I was excited to be trusted in fulfilling an unchartered editorial job, on the other hand, I felt a little like I was being pushed off of a dock before I knew how to swim. Over the course of these first weeks, before submissions come pouring in and we’re up to our knees in department events, I’ve mostly been learning and experimenting. Running a website, I’ve come to realize, is a lot of work, a lot of trial and error. Learning the system has been a very positive experience, thanks to the lovely and talented Taylor Austell. I now know how to maintain the great standards that already exist, and have developed things I’d like to change. I’m the kind of person who has to use the same pen until its ink runs dry, who organizes her closet not only by clothing type but color and shade as well. That being said, I jumped at the idea of enhancing our Blog. I created a rotating schedule, varied by position and grade, and decided that we should have monthly themes. September, of course, has been all about new beginnings and a fresh school year. I believe we have a website to be proud of, and our blog has great potential. It’s important that our audience not only sees the product of our labors, but can also read the product of our words. The Élan staff has plenty to say. Feel free to walk on this literary journey with us, not only by reading the gifted student work we publish, but by taking a look behind the scenes. Share our troubles and triumphs, laugh at our mistakes as we learn and grow, and maybe –hopefully- take a little something back with you.